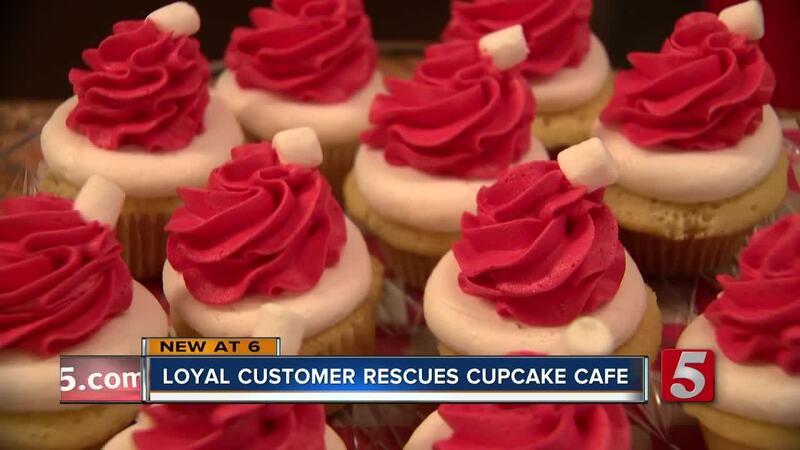 A cupcake cafe in Hopkinsville was bought by a loyal customer during an auction so the business owner can continue operating it. Amanda's Cupcake Cafe is known as a secret treasure tucked away in downtown Hopkinsville. Inside are sweet treats that customers love. If it has sugar in it, Amanda Fitzpatrick can make it. A couple weeks ago, two city blocks were were put up for auction in downtown Hopkinsville including the former Cayce-Yost department store building that is home to Amanda's Cupcake Cafe. Fitzpatrick said, "We could have potentially been asked to leave, or we could have been asked to stay." She moved her family out from upstairs as she anticipated it would be sold. As a single mom for 14 years, it made times tough. Fitzpatrick said, "Now I've had to cut back hours and in addition to cutting back hours, I've had to pick up a second job to pay for living away from here." A loyal customer bought the entire building so Amanda can stay. Fitzpatrick said, "Just humbled, surprised, sometimes it's just unbelievable." It cost $70,000 plus auction fees according to Fitzpatrick. Fitzpatrick said, "We have a place. We belong here." The customer and his wife do not want publicity for the good deed. Fitzpatrick said, "It's just amazing how people love each other and look out for each other." The customer's favorite snack at the cupcake cafe is a Rice Krispy treat. Fitzpatrick said, "It's his favorite." Right now the new owner and his wife aren't charging Amanda rent. Fitzpatrick said, "There's no rent until I pay for the building." So one day, the building will be her very own. Fitzpatrick said, "It's a Christmas fairytale." You can order cupcakes from Amanda by calling (270) 987-2144.